(Artwork - 027) Contrary to popular opinion, pigs are clean animals who love to cuddle. What surprised me most about my rescued pig Wilbur was his love of soft blankets and his need for affection and attention. He was a great orator and spent countless hours regaling us with the story of his rescue. 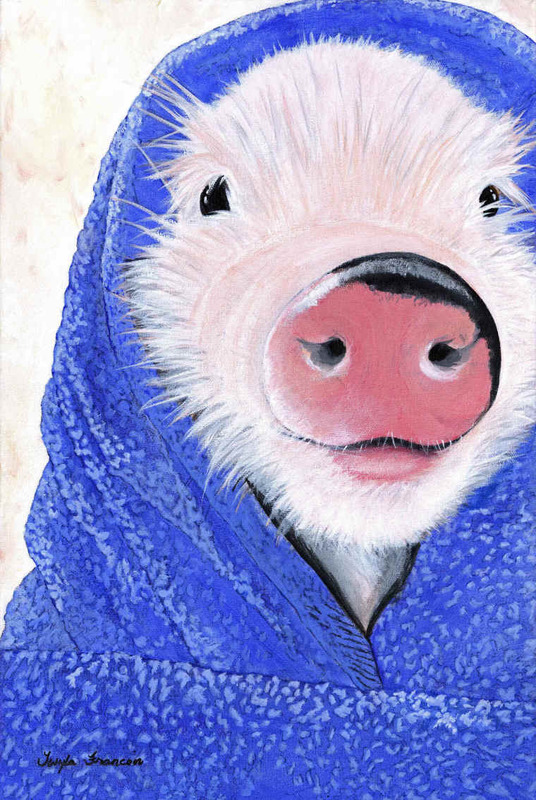 Recognizing that not everyone will be reached by graphic footage and photos, Twyla's art seeks to raise awareness on the plight of today's farmed animals in a more gentle, but hopefully equally compelling way.